At a late night meeting, the all-male Republican contingent of the Senate Judiciary committee that will hear from nominee Brett Kavanaugh and his accuser Dr Ford discussed how they will approach the dramatic hearing. While they were fairly comfortable about how they would approach Kavanaugh’s testimony, the real question on their minds was how to handle Dr. Ford. 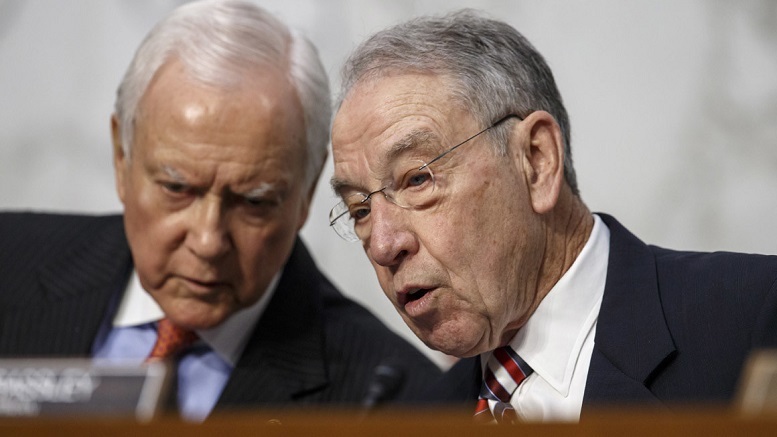 Senator Grassley insisted that as chairman he would get to go first, leading Orrin Hatch to complain that there’s nothing worse than drilling someone when they’ve already been put through the motions by someone else. Another thing they agreed on is that the key to getting at the truth is to not go too easy on Dr. Ford. Be the first to comment on "Republican Senators Agree Plan To Take Turns Probing Kavanaugh’s Accuser At Hearing"